One has to consider various factors before considering installing a hot water cylinder. There are general tips that make the installation easier. Installing hot water cylinder is not a cup of tea which can be carried out just by a single person. It weighs about 150 lbs, thus you'll need the help of any other strong person to place it in its position. A quick tip for people dwelling in an earthquake-prone region is to fasten the hot water cylinder heater to the wall with special straps. This must be done and even your plumber will tell you about these straps if required. People usually have a vague idea when deciding between different types of hot water cylinder like gas, electric and tankless cylinders. This article covers thing to keep in mind while installing hot water cylinder in Wellington and choosing between them. 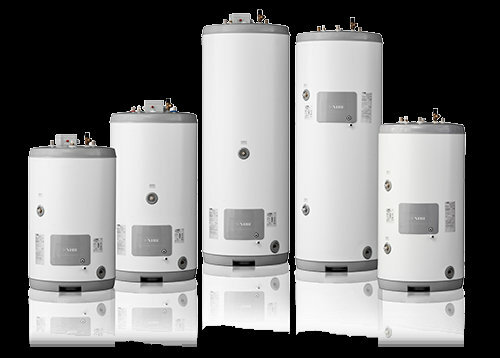 If you want to go for an environmentally friendly option which at the same time is energy efficient, then choose gas hot water cylinders for installation. The gas cylinder provides instant heated water which you get only when you require it. This implies no wastage of energy at all. The cost of electricity is too much to cope up with. The rising prices of electricity surely mean gas cylinder is the more economical option. If you are residing in a multi person household then you will need to wait for the water to heat for your turn. Electric hot water cylinders, despite being expensive, stay the most common type of water heating systems. The best benefit you can get in using these electric water cylinders is the heated large amount of water in just a go. if you require hot water in bulk, then this is, without doubt, the best option to consider. Electric hot water cylinder offers another benefit of retaining the warmth of the water which means no reheating required. Thermo lining in these electric cylinders allows the warmth for long durations. Another type of hot water heating cylinder is the tankless water heater. The tankless cylinders let you enjoy the liberty of choosing heaters based on your demand. You can select the heater by the maximum amount of hot water you and your family consume at any given time. An estimate must include the appliances that make use of hot water as well. This process means you can buy the cylinder as per to your need of gallons of hot water at a particular time. Such a facility will help you save money depending on the type and size unit you exactly require. Tankless water heaters are again sub-divided into the types of gas and electric. You have to know that gas tankless water heaters provide a bit more hot water compared to electric tankless water heaters. In a nutshell, a tankless water heater reduces the energy bill thus benefit the environment simultaneously.